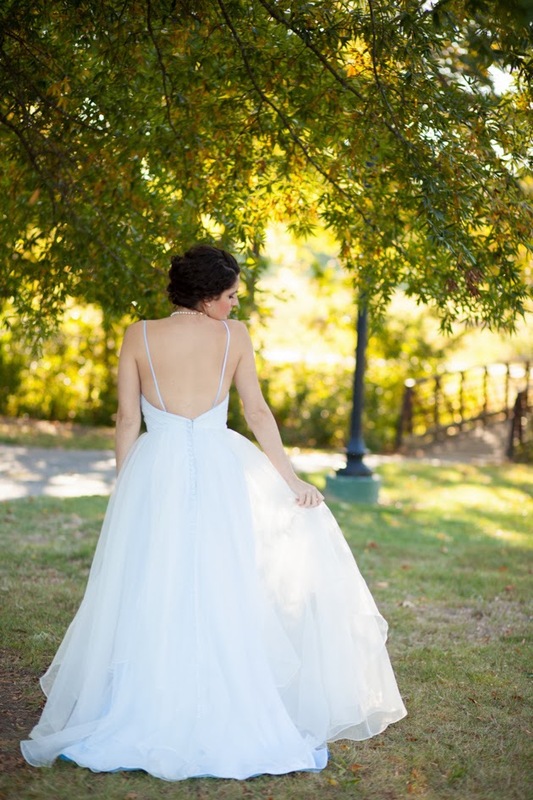 How about your something blue being your wedding gown!? This is a new design that was just finished and photographed by Jessica Lauren Photography. 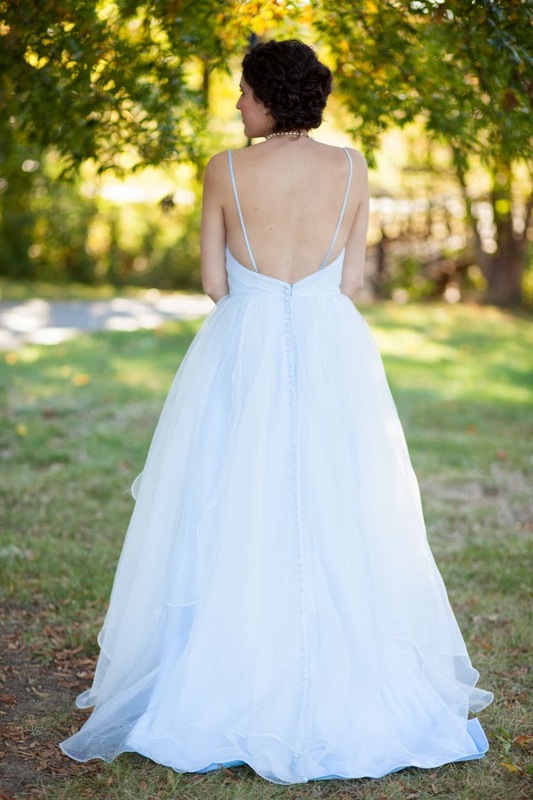 The dress features an extremely low back, adjustable spaghetti straps, sweetheart neckline, covered buttons down the back, and most importantly...a soft powder blue underlay! 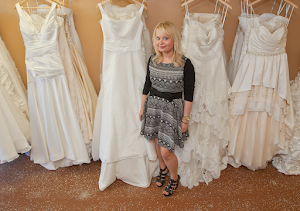 If traditional ivory is more your speed, don't worry - the dress can be made entirely in a soft white shade as well. Make this dress your very own! 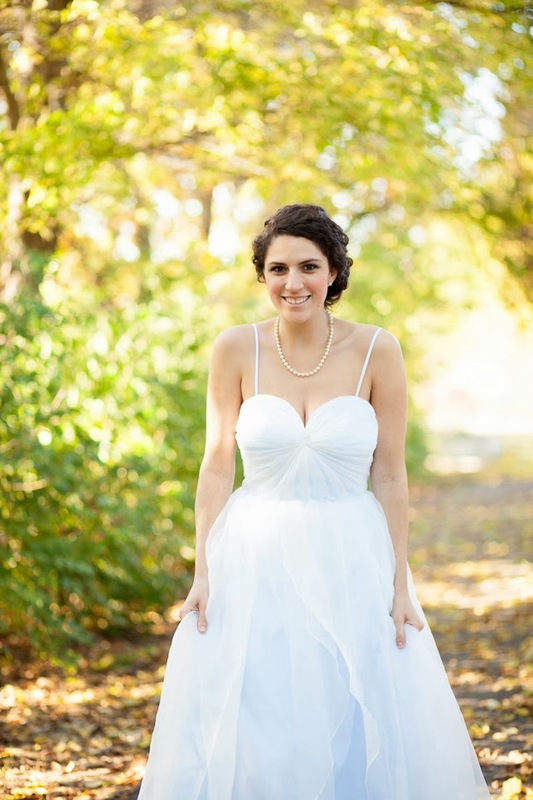 Shop online at Bridal Bliss Designs.